After offering multiple explanations for how his meeting with a Russian lawyer came about in the first place, Donald Trump Jr. is now opening up his inbox to show how non-conspiratorial his exchanges with a Russian pop star, a British music publicist, and a Kremlin-associated attorney were. He tweeted a statement about his email correspondence as well as screenshots of the messages between himself and Rob Goldstone, founder of the entertainment company Oui 2. 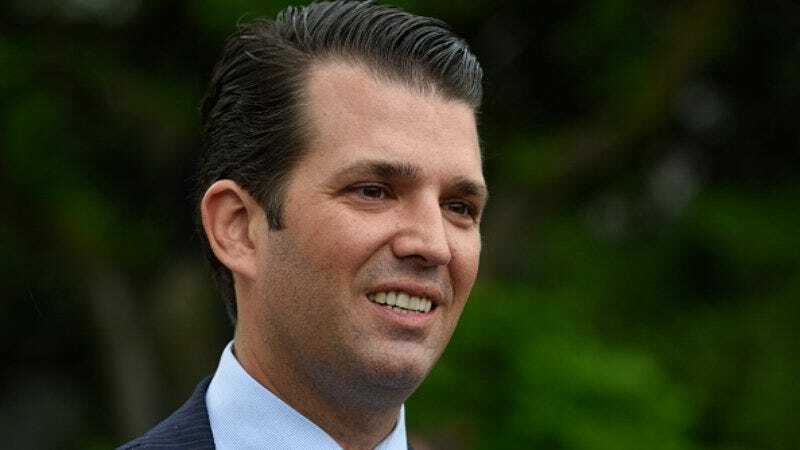 You can see why Trump Jr. and Goldstone expressed their frustration over the reportedly “inane” meeting, which was also attended by Trump’s former campaign manager Paul Manafort and current White House senior advisor, Jared Kushner. While Trump Jr. did eventually get around to admitting that he only took the meeting to get “damaging info” on Hillary, he first tried to play the whole thing off as a discussion about adoptions and the Magnitsky Act. Veselnitskaya, who by Trump Jr.’s own admission works for the Russian government, supposedly wanted to talk about resuming American adoptions of Russian children. But the adoptions were only halted because the Russian government took exception with the Magnitsky Act, which was enacted to punish Kremlin officials over human rights abuses, namely, the death of Russian lawyer Sergei Magnitsky. Russian officials, including Veselnitskaya, have been trying to get the Magnitsky Act repealed since 2012, which is presumably why she tried to arrange some quid pro quo. So to recap: his hunt for compromising info on Clinton not only yielded nothing about the Democratic nominee, but it also resulted in Trump Jr. having to disclose just how eager he was to get the info, not to mention informed. Okay, yeah, we get why he’s pissed.